Dame Edith Louisa Sitwell, DBE (7 September 1887 – 9 December 1964) was a British poet and critic and the eldest of the three literary Sitwells. She reacted badly to her eccentric, unloving parents and lived much of her life with her governess. She never married but became passionately attached to Russian painter Pavel Tchelitchew, and her home was always open to London's poetic circle, to whom she was generous and helpful. Sitwell published poetry continuously from 1913, some of it abstract and set to music. With her dramatic style and exotic costumes, she was sometimes labelled a poseur, but her work was praised for its solid technique and painstaking craftsmanship. She was a recipient of the Benson Medal. Edith Louisa Sitwell was born in Scarborough, North Riding of Yorkshire, the oldest child and only daughter of Sir George Sitwell, 4th Baronet, of Renishaw Hall; he was an expert on genealogy and landscaping. Her mother was Lady Ida Emily Augusta (née Denison), a daughter of the Earl of Londesborough and a granddaughter of Henry Somerset, 7th Duke of Beaufort. She claimed a descent through female lines from the Plantagenets. Sitwell had two younger brothers, Osbert (1892–1969) and Sacheverell Sitwell (1897–1988) both distinguished authors, well-known literary figures in their own right, and long-term collaborators. Her relationship with her parents was stormy at best, not least because her father made her undertake a "cure" for her supposed spinal deformation, involving locking her into an iron frame. She wrote in her autobiography that her parents had always been strangers to her. Sitwell never married, but in 1927 she allegedly fell in love with the gay Russian painter Pavel Tchelitchew. The relationship lasted until 1928, the same year that Rootham underwent operations for cancer (eventually becoming an invalid). In 1932, Helen Rootham and Sitwell moved to Paris, where they lived with Rootham's younger sister, Evelyn Wiel. Sitwell's mother died in 1937. Sitwell did not attend the funeral because of her displeasure with her parents during her childhood. Helen Rootham died of spinal cancer in 1938. During the Second World War Sitwell returned from France and retired to Renishaw with her brother Osbert and his lover, David Horner. She wrote under the light of oil lamps as the house had no electricity. She knitted clothes for their friends who served in the army. One of the beneficiaries was Alec Guinness, who received a pair of seaboot stockings. The poems she wrote during the war brought her back before the public. They include Street Songs (1942), The Song of the Cold (1945), and The Shadow of Cain (1947), all of which were much praised. "Still Falls the Rain" about the London Blitz, remains perhaps her best-known poem; it was set to music by Benjamin Britten as Canticle III: Still Falls the Rain. Her poem The Bee-Keeper was set to music by Priaulx Rainier, as The Bee Oracles (1970), a setting for tenor, flute, oboe, violin, cello, and harpsichord. It was premiered by Peter Pears in 1970. Poems from The Canticle of the Rose were set by composer Joseph Phibbs in a song-cycle for high soprano with string quartet premiered in 2005. In 1943, her father died in Switzerland, his wealth depleted. In 1948, a reunion with Tchelitchew, whom she had not seen since before the war, went badly. In 1948 Sitwell toured the United States with her brothers, reciting her poetry and, notoriously, giving a reading of Lady Macbeth's sleepwalking scene. Her poetry recitals always were occasions; she made recordings of her poems, including two recordings of Façade, the first with Constant Lambert as co-narrator, and the second with Peter Pears. Tchelitchew died in July 1957. Her brother Osbert died in 1969, of Parkinson's disease, diagnosed in 1950. Sitwell became a Dame Commander (DBE) in 1954. In August 1955 she converted to Roman Catholicism and asked author Evelyn Waugh to serve as her godfather. Sitwell wrote two books about Queen Elizabeth I of England: Fanfare for Elizabeth (1946) and The Queens and the Hive (1962). She always claimed that she wrote prose simply for money and both these books were extremely successful, as were her English Eccentrics (1933) and Victoria of England (1936). Sitwell was the subject of This Is Your Life in November 1962 when she was surprised by Eamonn Andrews on the stage of the BBC Television Theatre in London. Sitwell lived from 1961 until her death in a flat in Hampstead in London, which is now marked with an English Heritage blue plaque. About 1957 she began using a wheelchair, after battling with Marfan syndrome throughout her life. Her last poetry reading was in 1962. She died of cerebral haemorrhage at St Thomas' Hospital on 9 December 1964 at the age of 77. She is buried in the churchyard of Weedon Lois in Northamptonshire. Sitwell published her first poem The Drowned Suns in the Daily Mirror in 1913 and between 1916 and 1921 she edited Wheels, an annual poetic anthology compiled with her brothers—a literary collaboration generally called "the Sitwells". She became a proponent and supporter of innovative trends in English poetry and opposed what she considered the conventionality of many contemporary backward-looking poets. Her flat became a meeting place for young writers whom she wished to befriend and help: these later included Dylan Thomas and Denton Welch. She also helped to publish the poetry of Wilfred Owen after his death. Her only novel, I Live Under a Black Sun, based on the life of Jonathan Swift, was published in 1937. Sitwell had angular features resembling Queen Elizabeth I and she stood six feet tall. She often dressed in an unusual manner with gowns of brocade or velvet, with gold turbans and many rings; her jewellery is now in the jewellery galleries of the Victoria and Albert Museum in London. Her unusual appearance provoked critics almost as much as her verse, and she was the subject of virulent personal attacks from Geoffrey Grigson, F. R. Leavis, and others. Sitwell treated her enemies with scorn. Noël Coward wrote a skit on her and her two brothers as "the Swiss Family Whittlebot" for his 1923 revue London Calling!, and she refused to speak to him until they were reconciled after her 70th birthday party at London's Royal Festival Hall. Sitwell participated in the UGH.... correspondence featured in the Times Literary Supplement in 1963, an ongoing debate on the value of the work of William S. Burroughs and the nature of literary criticism, initiated by critic John Willard. Sitwell stated that she was delighted by Willard's wholly negative review of Burroughs' work, despite claiming not to know who Burroughs was. In the same letter, she described Lady Chatterley's Lover as an "insignificant, dirty little book", and rounded out her letter with the statement that she preferred Chanel Number 5 to having her nose "nailed to other people's lavatories". ^ Tim Harris,Eccentric patriarch with slender grip on reality, The Age, January 2003; accessed March 2010. ^ Premiere: Lisa Milne, soprano, with Belcea Quartet, Wigmore Hall, London, 14 March 2005. Review: Robert Maycock, 'Belcea Quartet, Wigmore Hall, London', The Independent, 14 December 2005. Published by Ricordi. ^ "Edith Sitwell blue plaque". openplaques.org. Retrieved 4 May 2013. ^ "Edith Sitwell – Find a Grave". findagrave.com. Retrieved 29 September 2013. ^ William S. Burroughs At The Front: Critical Reception, 1959-1989 (eds. Jennie Skerl and Robin Lydenberg). ^ "The London Magazine". The London Magazine. 4 (8). 1964. ASIN B0034RS9EK. 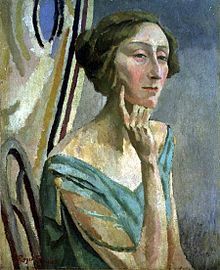 Wikimedia Commons has media related to Edith Sitwell. "Archival material relating to Edith Sitwell". UK National Archives.